Located on Jamaica Street, Unit 51 can be found in the unique hub of The Baltic Triangle. 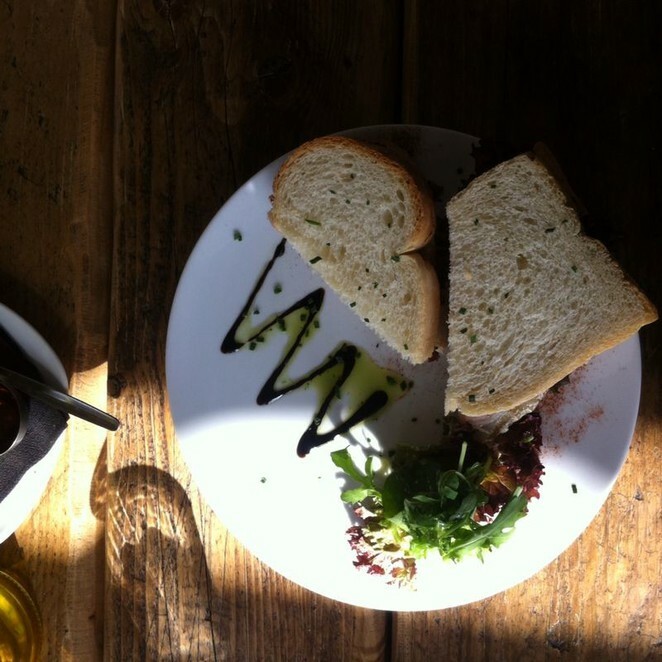 As a coffee shop/bar, the place emits a real organic feel on entrance, offering all day breakfasts, a range of deli style sandwiches and a mouth-watering selection of homemade cakes and pastries. The weather was glorious on the September day I visited and having sized up other eateries in the area which were overcrowded and muggy in atmosphere, Unit 51's glass doors and outside seating appeared inviting. At a glance, the food menu is somewhat basic, yet it caters for many, offering a good selection of veggie options and soya drink alternatives. Where possible, only locally sourced produce is used to make up the meals on offer, and visitors should take note of the specials board which is updated daily according to availability. Service here proved friendly and super quick which, given the setting - a Saturday afternoon in a popular quarter of town - came as a pleasant surprise. I ordered a simple BLT and received crispy bacon on a bed of fresh, mixed leaf salad with a delicious balsamic citrus dressing on the side, all served on homemade sourdough bread with mayo to boot. Tasty, healthy and absolutely spot on at £3.95 per head. Granola with natural yoghurt, fresh berries and syrup! 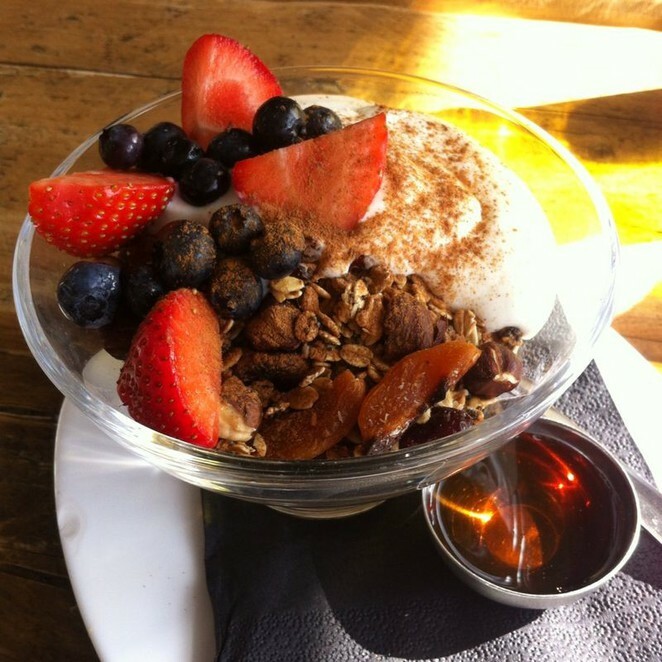 For those seeking a brunch time treat I'd recommend the granola served with natural yoghurt and fresh fruit. 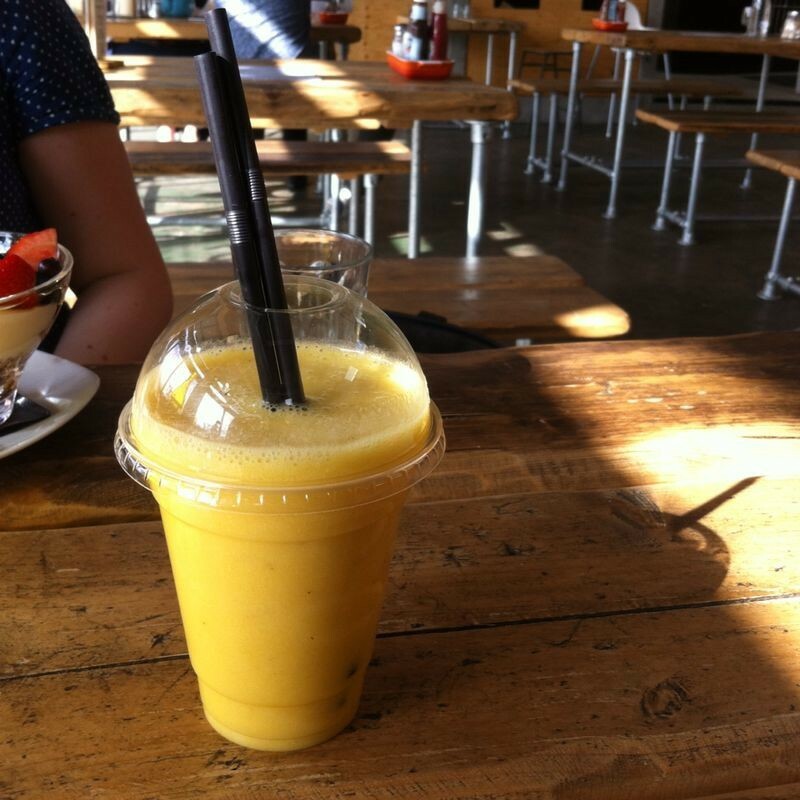 Alternatively there are a range of healthy on-the-go snack bars towards the bar where you can also purchase lattes, mochas and fresh fruit smoothies from the fair trade coffee menu. Those in need of a morning brew should be sure to check out the selection of delicious fruit teas on offer including spiced apple, chamomile and rooibos for anyone watching their caffeine intake. Bright and airy, this café's premises are home to a wealth of business ventures with various offices spanning the remainder of the building known as the Baltic Creative Campus. Notably, Unit 51 functions as an expansive creative space when not serving food and beverages, further proving that this redeveloped, once derelict area of the city has indeed been put to good use. Undeniably hipster, yet homely and inviting, Unit 51 is certainly a jewel in the Baltic Creative crown. Watch this space for upcoming exhibitions, film nights, wine tastings and more.